Mornings are busy, kids are cranky, parents are tired, but we all want to start our day with a great breakfast. One that is preferably easy, delicious, full of nutrition. 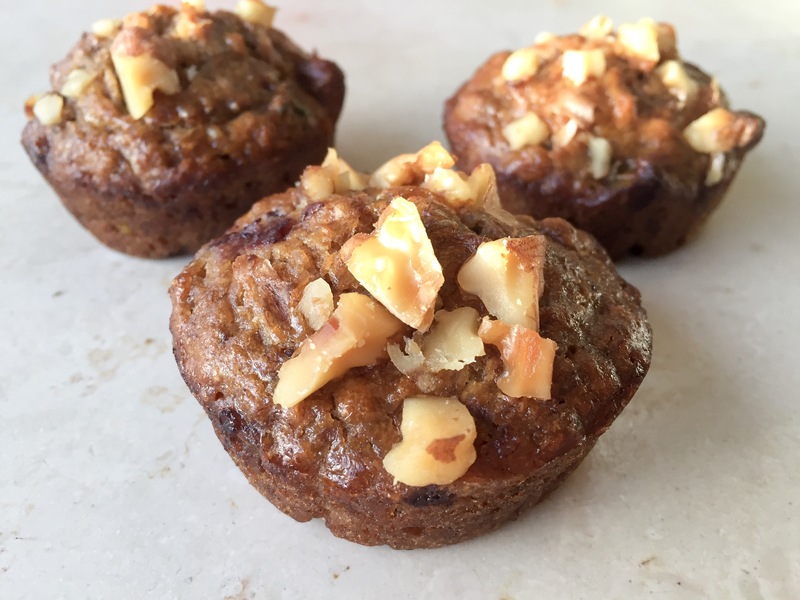 So here is an Easy Banana Nut Recipe full of goodness. Add the baking soda, salt, and stir. Fold in walnuts. The less you stir, the fluffier the muffins will be. Coat muffin pan with organic coconut oil. No Vegetable Oil. No Canola Oil. Bake 25-30min until golden brown and once a toothpick inserted in the centre of muffins comes out clean. Thanks for sharing a healthier approach to a well loved breakfast food. I love knowing some of the secret modifications to make recipes healthier and often times enhance flavor as well! Bonappetite!